Now we have all four. Ladies and gentlemen, I give you the title and 1st poster for Christopher McQuarrie’s ‘Mission: Impossible – Rogue Nation,’ the follow up to Brad Bird’s ‘Mission: Impossible – Ghost Protocol’ (when they smartened up and dropped the number titling system in favor of a subtitle). 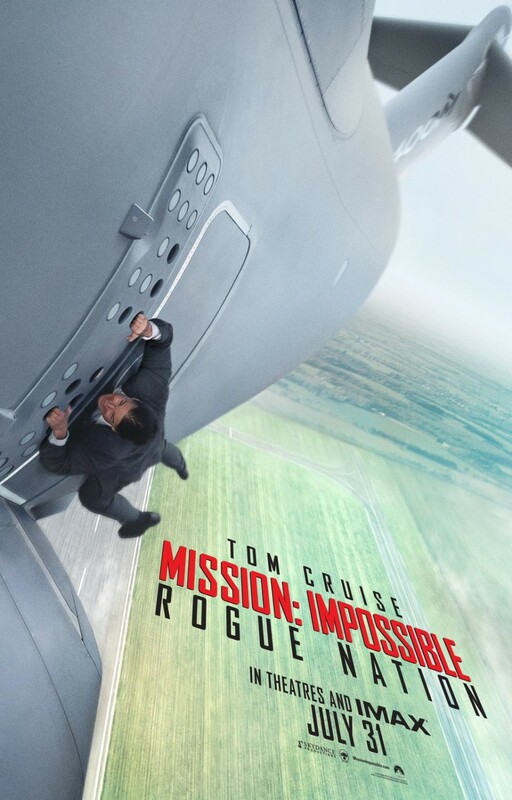 Like the poster for ‘Ghost Protocol,’ ‘Rogue Nation’s poster highlights the “Impossible” stunt from the film; this time Tom Cruise hangs onto an airplane as it takes off and continues to hang at 6,000 feet (or whatever)! Benji has quite the disguise… but still no Mask… yet. This minute long teaser trailer certainly excites as I have always been a ‘Mission: Impossible’ fan (M:I:2 doesn’t exist). We got motorcycle action! 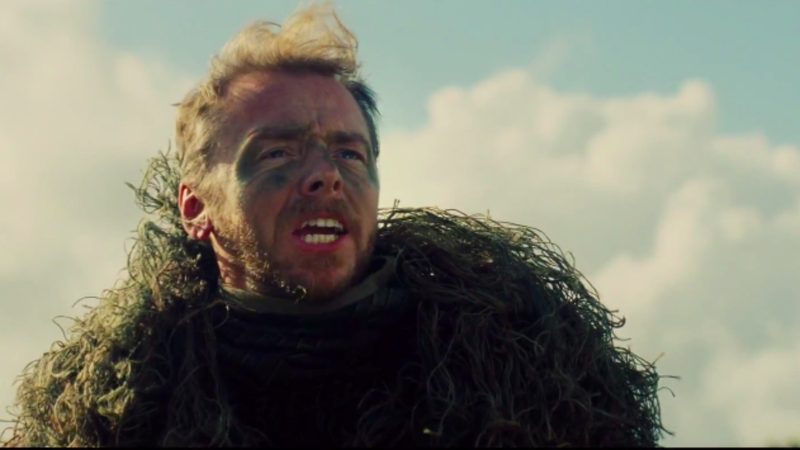 Benji (Simon Pegg) in the field! Quick shots of Agent Brandt (Jeremy Renner) and Luthor (Ving Rhames), back from earlier installments! More action! Alec Baldwin as the CIA director hunting down… well… Ethan Hunt (with the amount of times Tom Cruise is on the run in these films, that last name has got to be a pun… at this point). The enemy revealed: the Rogue Nation Syndicate – “an anti-IMF. And “Impossible” stunts! Watch the trailer now and get the synopsis after! “The Syndicate” sure does sound a lot like S.P.E.C.T.R.E., 007’s nemesis agency (as well as the title of the next Bond film): a shadow organization penetrating all areas of worldwide governments in order to control the world. If “The Syndicate” really is an “Anti-IMF,” than that sounds exactly like S.P.E.C.T.R.E. being the anti-MI6. Of course, this meaty one-minute trailer is just a teaser for the real trailer dropping TOMORROW! The 23rd! So now that we have a title, poster, teaser trailer, and synopsis for ‘Rogue Nation!’ And we will be getting yet another, this time full-length, trailer for Ethan Hunt’s latest adventure… in this, 2015, the year of the spy genre. Previous Podcast #19: Comment and Like Us, Son!